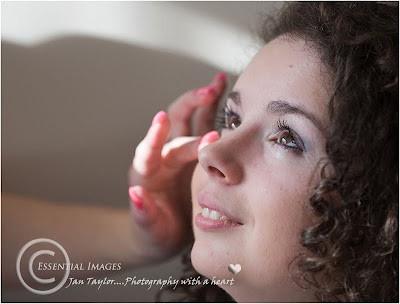 With studio lights and backgrounds packed into the car, off we went to a celebration 18th birthday makeover for Jenny and her three friends in Jenny's home in Southampton. Absolutely, lovely girls and such fun! Annabel, new to our team, is a makeup artist trained in the application of modern up to the minute makeup, and she came along to prepare the girls for their photoshoot. Each girl was photographed as Annabel applied makeup and then one by one we took a variety of photographs in several outfits. 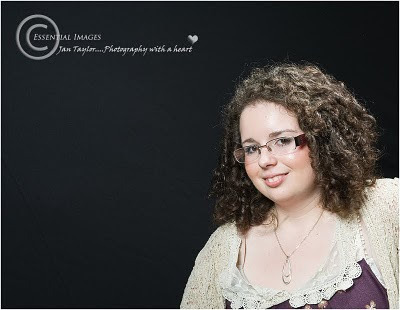 Malcolm, (being the technical one of our partnership:D) set up the studio lights in the dining room and we photographed the girls individually and in groups. 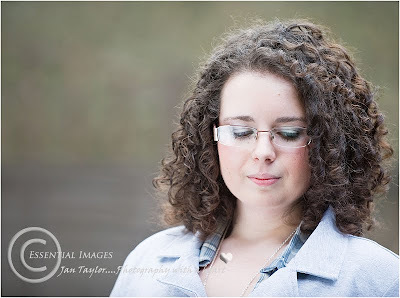 We also took the girls outside into the garden, between showers, to get some natural light photographs too! 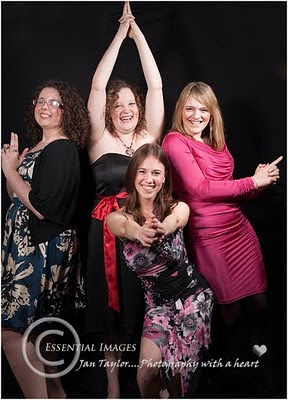 And this is Charlie's Angels....oops sorry Jenny and her friends! 'Just wanted to say thank you to yourself, Malcolm and Annabel for a fantastic time! Jenny will have today received her special viewing DVD of selected images as a memento of her celebration portrait party. All images have been processed and edited and all final images will be on a personal online viewing gallery for her and her friends to choose and purchase.